Latisse® is the only FDA-approved treatment proven to safely and effectively grow longer and fuller lashes. The eyelash growth experienced with Latisse® is long-lasting with continued use, and Latisse® is only available with a prescription. Latisse® was FDA-approved in 2008, and it has been used by many residents of Southington, Connecticut, since. Patients love the improved length and fullness of their natural lashes after using Latisse®, and some even report a darker shade on the eyelash growth. The active ingredient in Latisse® is bimatoprost, which was originally used as an eye drop to treat pressure inside the eye. During clinical trials, many patients experienced incredible eyelash growth as a side effect, which led Allergan to further study bimatoprost and develop it as a prescription treatment for people desiring longer, fuller eyelashes. The exact way Latisse® works is unknown; however, many experts speculate that it lengthens the growth phase of the eyelashes while also increasing the number of hairs that are grown. In most cases, our Southington, CT patients apply Latisse® on their own at home. It needs to be carefully brushed onto the base of the upper eyelashes every evening in order for eyelash growth to occur. Latisse® should never be used on the bottom eyelashes, and the application needs to be precise for optimal results. With daily use, most of our Southington, Connecticut, patients report noticeable eyelash growth within a month. 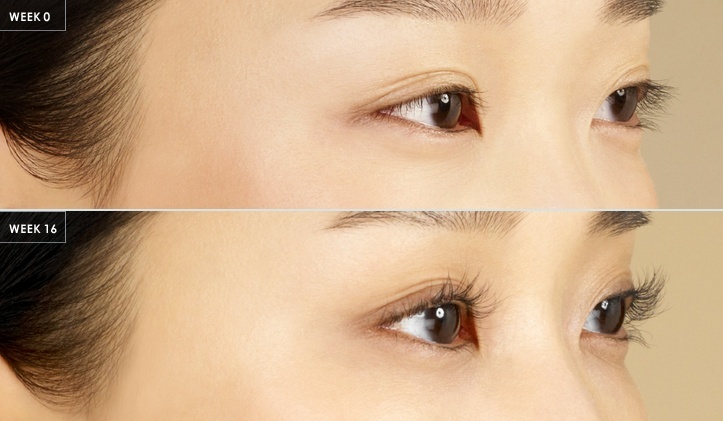 After four months of consistent use, the full effects of Latisse® can be seen, and the eyelash growth with remain as long as Latisse® is used. If Latisse® use is ceased, the results will fade over the next few months and the patient’s eyelashes will go back to the way they looked before the Latisse® treatment. Why Choose Re:Nu 180 MedSpa for Latisse®? Even though you apply Latisse® on your own, the medical professional you choose to administer it is crucial. At Re:Nu 180 MedSpa in Southington, Connecticut, we won’t just write you a prescription and send you on your way. We care about your results and we will take the time to show you the exact way to apply Latisse® for unbelievable results. Additionally, we will be available for follow-up appointments to ensure you are getting the eyelash growth you desire. At Re:Nu 180 MedSpa, we can answer any questions you have about Latisse® in a relaxing and welcoming environment. You aren’t just another patient to us—you are a friend, and we can’t wait for you to have the fantastic, runway-worthy eyelashes you have always dreamed about. Re:Nu 180 Med Spa is located in Southington, CT and services the entire Hartford and New Haven County Areas including including Plainville, Cheshire, Wallingford , Prospect, Hamden, Farmington, and Burlington. We also have a second Re:Nu180 location in Newington, CT.
© Copyright Re:nu180 Medspa. All Rights Reserved. *Actual results may vary by customer. The appointments you request on our online form are not final. When you submit your appointment someone from our office will call you to confirm and or adjust based on availability.